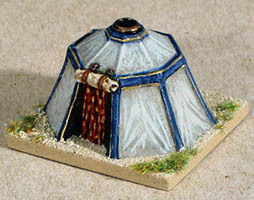 15mm Ottoman Tents AVAILABLE NOW! 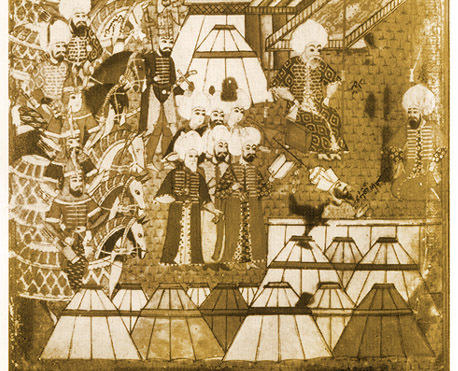 These camp tents are designed to be used as a baggage element for any Ottoman Turk army up to the renaissance. They are based on those you can see in this original painting, and small enough to fit on a standard 40x40mm DBM baggage base. They are suitable for other armies of Islam during the middle ages. 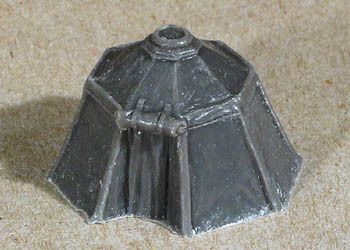 We also make a 15mm Ottoman figures, make sure to check it out! 15OTM is available in two finish: simple plain cast, as it comes out of the mold; or cleaned, based and primed, ready to paint. 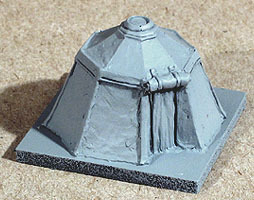 We regret we are unable to offer this item as a stock finished element, painted and based. However we may occasionally offer some painted and based sample as promotion on e-bay; just let us know if you want to receive a short note when this happens.